SKU: ffdcb. Category: Dog Transit Boxes. 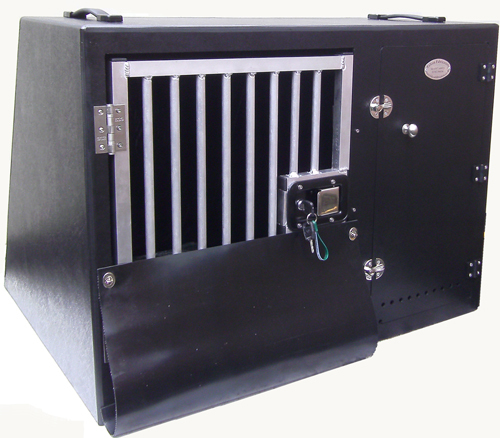 Our Dog System Combined with an open flacon cadge is constructed using 6mm polypropylene plastic. 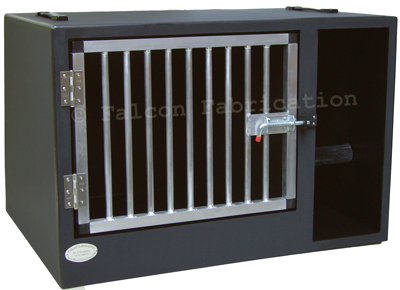 Produced with practicality in mind, we have incorporated both dog transit system combined with a side falcon cadge, enabling safe transportation of your hunting or display team. Made from black polypropylene plastic with self-colour lightweight but very robust gates this system is entirely maintenance Free! Upon ordering we will contact you direct to discuss your personal required size and specifications required!